Iron Harvest, the real-time strategy game set in the alternate reality of 1920+, reached its last main-game stretch goal on Kickstarter. The last stretch goal remaining now is a free DLC campaign that would be released post-launch. The very successful campaign is currently in its last 48 hours. It is already one of the most successful Kickstarter campaigns for video games in recent years. Backers of the project can choose from a wide variety of reward packages, including lavish special boxed editions. All backers will get access to early versions of the game and will receive special behind-the-scenes updates. "Getting feedback from the community early on is one of the main advantages of doing a Kickstarter", says Jan Theysen, Game Director at developer KING Art Games. "We already received tons of ideas and constructive feedback based on our super-early Kickstarter demo of the game. Well over a dozen features and little improvements already found their way into the game." 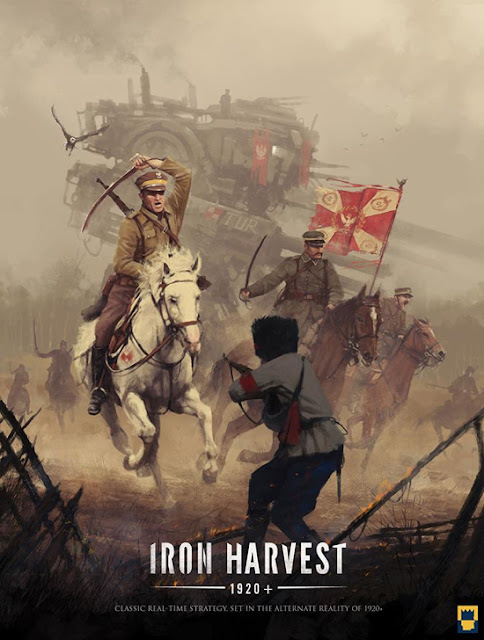 Backers will have the opportunity to play the Alpha 1 of Iron Harvest in early August.